In This Game, You Play As A Chef With The Goal To Become Best Chef. To Become Best Chef, You Have To Win Battles – You Challenge Other Chefs Of Different Places. Before You Challenge A Chef, You Need To Invent New Recipes By Visiting Your Base. Buy Ingredients From Market. Mix Them To Make A Recipe. For Example – Mix Flour, Mushroom, Ginger, Stock, Pork And You Will Discover Shanghai Soup Dumpling Recipe. Before You Give Challenge To A Chef, Train Yourself And Increase Skills, Creativity, And Tenacity. Go To Basic Cooking Class, Short Vacations, Gym Training To Improve Chef’s Cooking Skills. You Can Sell Your Ingredients, Upgrade Ingredients. Visit More Places To Get Or Discover More Ingredients Which You Can Use To Make New Recipes. Once You Created Recipe, Go To The Place i.e. Troyes And Challenge A Chef. You Have To Pay Some Cash For Challenge. There Are 3 Judges Who Will Rate Your Recipe. When Battle Starts, You Need To Select A Dish. Choose A Recipe Or Dish Which Match The Tags. At Starting Of Battle, Three Tags Will Appear i.e. Sweet, Earthy, Luxury. Tap On A Dish And See The Tags Section. Select That Dish Which Has More Relevant Matched Tags Than Other And Go. After The Battle Ends, Judges Will Rate Your Dish. If Your Opponent’s Dish Score Better Than You Then You Will Lose The Battle. Come Back Again With New Recipe To Win Battle. There Are Over 900 Recipes To Invent, Collect 200 Ingredients. 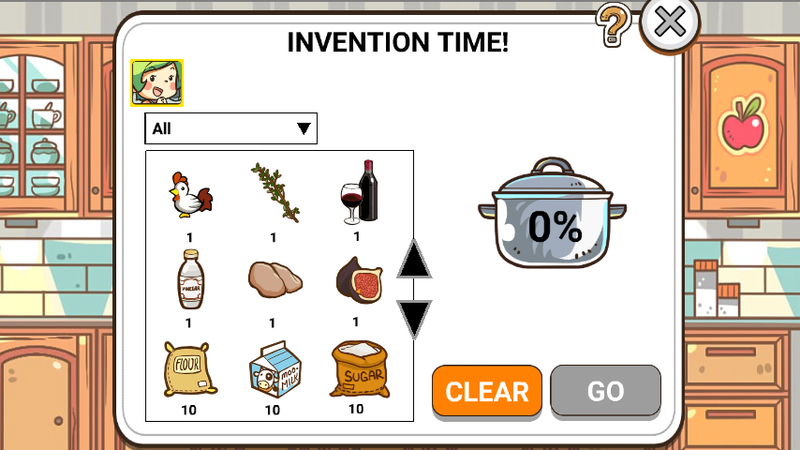 Around 500 Towns Are Featured In This Game Where You Explore Ingredients, Challenge Chefs. To Rise Up, Win The Anual Cheffy Awards, Reach Master Chef Level, And Defeat Baron Von Pork Once And For All. You Can Play This Game Offline Or Online. Offline Mode Will Not Save Your Progress. If You Uninstall The Game, And Later Install Again, Then You Will Start From The Beginning. While, If You Play Online, All Progress Will Sync With Your Google Play Games Account. Game Size – 76 MB, Mode – Offline As Well As Online, Developed By – Mindcake Games, Price – Free(In-App Purchase), Language – English Only(Yet).